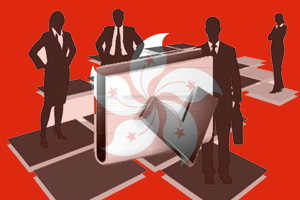 How to migrate to Hong Kong through Quality migrant Admission scheme? Hong Kong is being considered as the best immigration destination across the globe. There are varied reasons for most people to prefer Hong Kong immigration. Individuals who have a desire to migrate to Hong Kong for employment can apply for Hong Kong Quality migrant Admission scheme visa. To obtain this visa applicants need to qualify in Hong Kong QMAS program which is a point based system initiated to lure highly qualified and skilled persons to settle in Hong Kong. Hong Kong Quality Migrant Admission Scheme is an entrant and quota-based scheme that allows skilled foreign individuals to enter and remain in Hong Kong in order to boost economic competitiveness in the worldwide market. Applicants need to meet the below eligibility criteria to apply for Hong Kong QMAS Visa. Applicants’ age must be above 18 years. Applicants must be economically strong to maintain themselves and their families during their stay in Hong Kong. No criminal records must be filed against applicants. Applicants must have expertise in speaking and writing English or Chinese languages. Applicants should have a first degree from a tertiary educational institution or standard university. Applicants who meet the eligibility criteria are permitted to apply for Hong Kong Quality Migrant Admission Scheme, where they need to secure minimum qualification marks either in General Points Based Test or Achievement Points Based Test. In General Points Based Test 80 points must be obtained out of 165, whereas in Achievement Points Based Test 165 or 0 points are awarded. These points are used to continue the Hong Kong Quality Migrant Admission Scheme visa application for further Hong Kong Immigration process.